Richard Feynman was a talented mathematician and Nobel-prize winning physicist whose startlingly clear answers to questions earned him the unofficial title, the “Great Explainer”. In addition to being a talented scientist, Dr Feynman was a devoted teacher. His guiding principle was that if a topic could not be explained in a freshman lecture, it was not yet fully understood — a sentiment that I was often told whilst a graduate student. 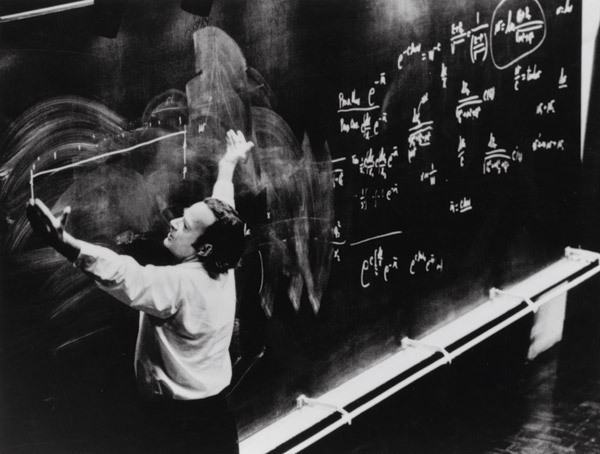 Whilst at the California Institute of Technology, Dr Feynman spent three years improving the teaching of physics, which resulted in a series of lectures that are now known as the Feynman Lectures on Physics. These lectures were published in book form and are still recognised as the best “additional readings” for physics students in the United States. Those who have visits from the “black dog” will be interested to know that Dr Feynman also suffered bouts of depression throughout his life. Despite his great intellect, these depressions affected the choices he made. For example, it is thought that depression was the reason that Dr Feynman turned down an offer designed especially for him to conduct research at the Institute for Advanced Study whilst also teaching at nearby Princeton University. Despite his depressions, it is possible that his intense curiosity is what kept him active and engaged, even during these dark times. This entry was posted in EDUCATION, High Energy Physics and tagged Feynman. Bookmark the permalink.